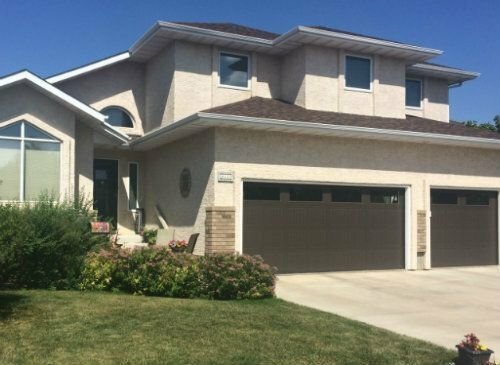 Browse through the latest Woodland Grove real estate listings in East Regina below! Woodland Grove is like a secret garden. Quietly located to the west of Greens on Gardiner, Woodland Grove real estate is bounded by Woodhams Drive to the north, Prince of Wales Drive on its west side, Arcola Avenue to the south and Woodhams Drive to the east. Lovely stone walls surround the exterior boundaries of the Woodland Grove real estate, adding privacy and safety to the neighbourhood. 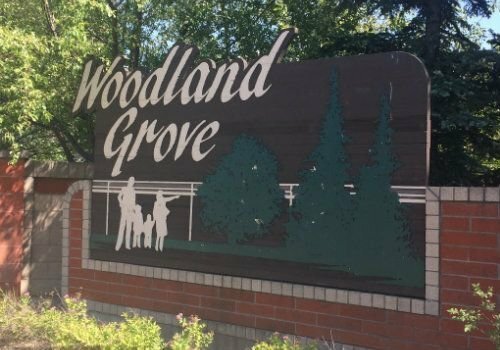 Search for available Woodland Grove homes for sale below, or continue reading about the conveniences of this East Regina neighbourhood. With the use of cul-de-sacs and crescents, you have the opportunity to own a park backing home. With the maturity of the landscaped yards, the trees offer a sense of privacy from your neighbours. The Woodland Grove homes for sale began development in the 1980s. The housing styles you will find here are bungalows, two storeys, bi-levels and two storey splits. These homes offer three or more bedrooms and the majority of the single-family homes have double attached garages. If you are looking for a lower maintenance lifestyle, Wood Grove has bungalow-style condos, townhouse complexes, bi-level condos, and garden-style condominiums. If you'd like to learn more about the Woodland Grove homes for sale, we encourage you to contact the Tourney Group online or call 306-789-1700 to touch base with an experienced, local Regina real estate expert.